Umbria has the best of Italy to offer: rolling landscapes, wine, beautiful towns and villages, olive oil, expansive lakes and the food, glorious food. 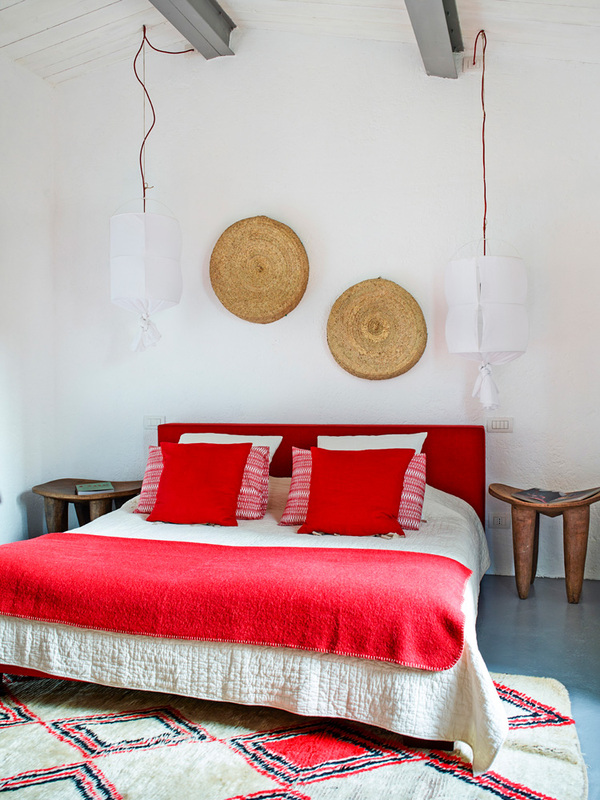 A holiday here can be as lazy, active, cultured and as delicious as you like. 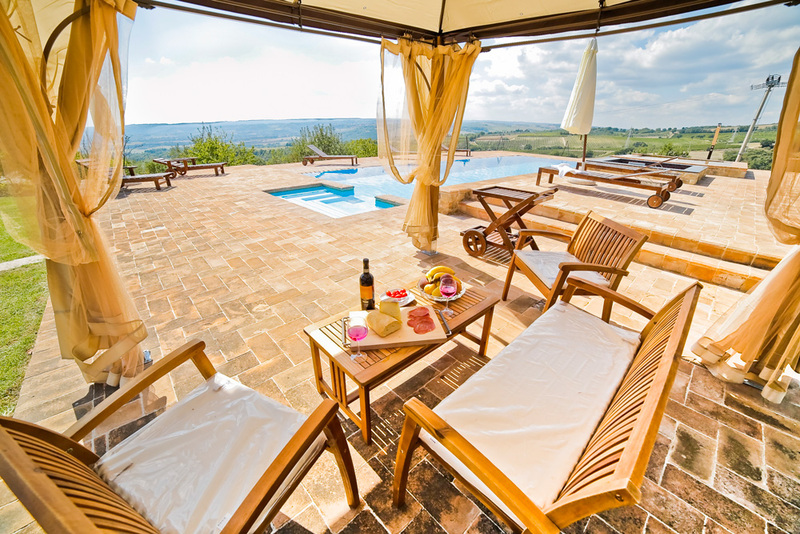 Check out our range of beautiful villas in Umbria to start planning your holiday, now! Umbria is Italy at its very best. 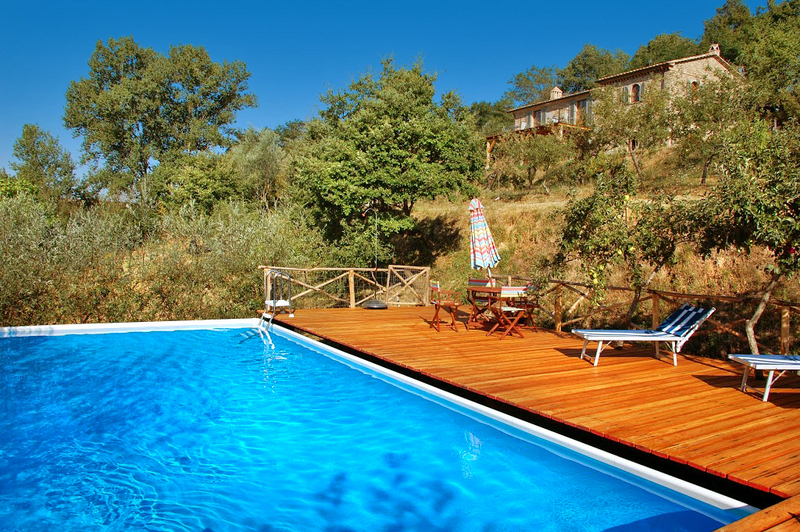 Rolling hills carpeted in green are broken only by rows of immaculate vineyards and serene olive groves. Picture-perfect towns and quiet cobbled street villages sit atop the peaks, offering staggering views across the valleys below. There are museums, castles, cathedrals and art galleries galore. And don’t even get us started on the food and wine! This is the land of truffles, rich cheese and scrummy products such as salami, sausages and porchetta. Lively festivals abound, and the region’s colourful history is evident at every turn. It is a place where you can do as much or as little as you like; go wine tasting, hiking or museum-hopping, or simply sit back and soak up the views from your villa. Umbria is a wonderful year-round destination, with its various charming towns, pastoral valleys and mountains each offering visitors something a little different. July and August are peak months and things can get a little crowded and hot, but the highlands offer respite from the masses and the heat. 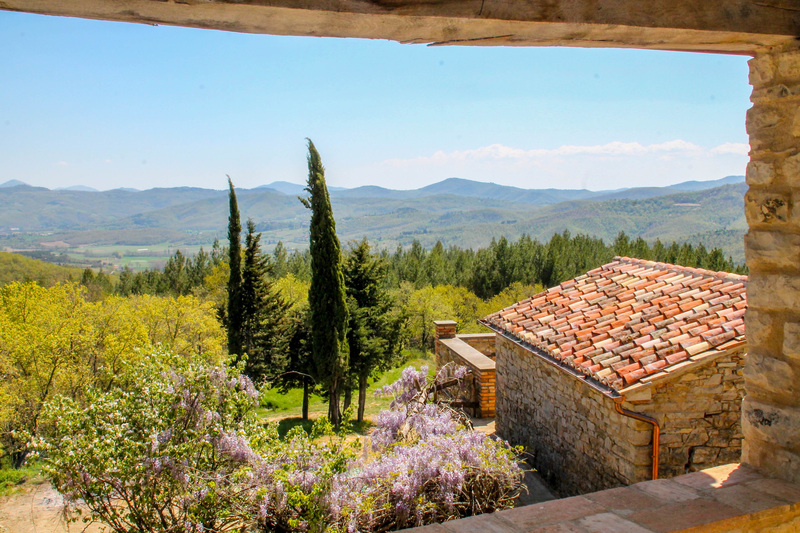 Spring is a beautiful time of the year in Umbria, the region is blanketed in green and the weather is warm but not humid, perfect for hiking and sightseeing. Italians typically take their summer holidays during August and a mass exodus occurs as the populace flees to the coast. Be aware that if you head to Umbria during this time, you may find some of the smaller restaurants and shops closed, as the owners temporarily abandon their businesses in favour of the seaside. 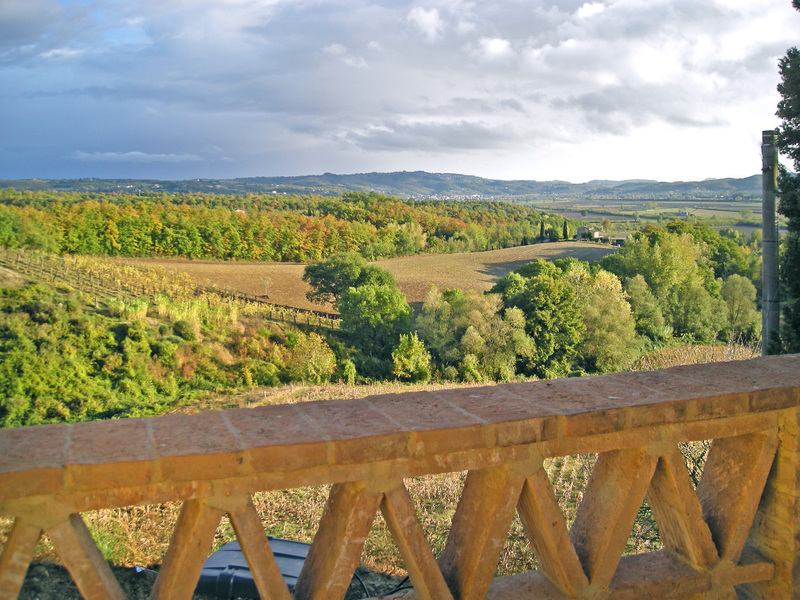 Like spring, autumn is a great time to visit Umbria. During this time, visitor numbers drop, pleasant weather prevails and the famous grape harvest gets underway. Winters here can be cool (you’ll probably want to flick on the heating in your villa), but shouldn’t be discounted, particularly if you’re after a cultural tour of Umbria’s churches, museums and galleries. 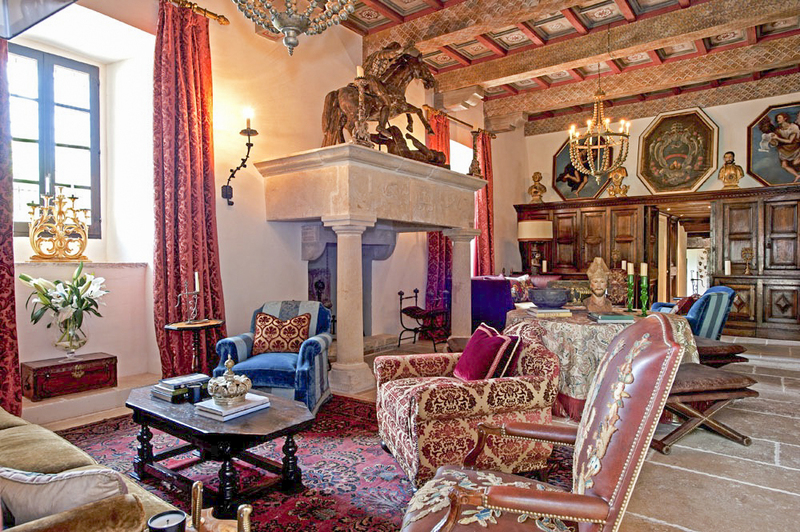 • Perugia – Soak up the architecture and ambience of Umbria’s capital. • Basilica di San Francesco, Assisi – Gawp at the stunning frescoes inside this magnificent medieval church. • Spello – Weave through the cobbled backstreets of this walled hilltop town. • Duomo of Orvieto – Appreciate the majesty of one of Italy’s finest Gothic cathedrals. • Spoleto – Soak up the staggering views from Spoleto’s hilltop castle. • Gubbio – Throw yourself into one of the vibrant festivals in one of Umbria’s oldest towns. • Castello del Leone, Castiglione del Lago – Climb the watchtower of the 13th-century castle for views across Lake Trasimeno. • Wine tasting – Take a tour of one of Umbria’s world famous vineyards. Public transport: Italy’s regional trains are of excellent quality and offer a comfy ride, although in Umbria the network doesn’t quite extend to the hilltop hamlets. You will, however, be able to hop between towns such as Narni, Spoleto, Trevi, Assisi, Città del Castello, Todi and Perugia easily and affordably. If you plan on travelling by train, the Trenitalia website will be your go-to resource. Buses, although slower, are often a good option for hard-to-reach destinations. Cycling and walking: There are plenty of places to cycle in Umbria, both on a level path for beginners, or up some serious hills for the pro cyclists. 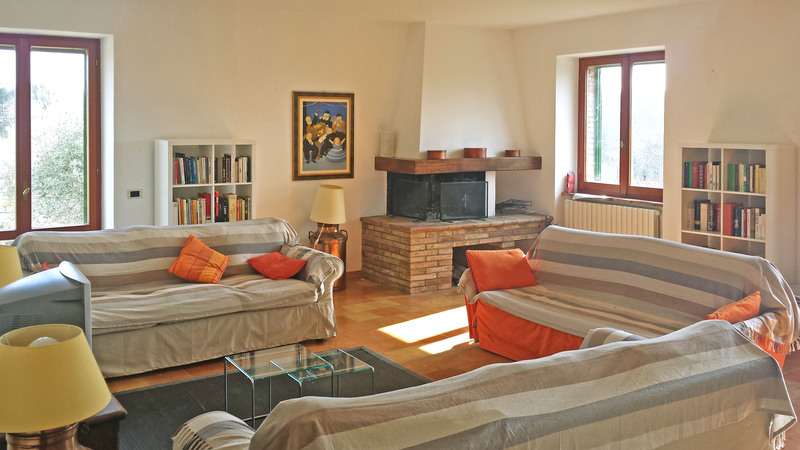 Companies like Umbria Bike are great places to start as there you can rent bikes and get advice on the best routes close to your villa.Similarly, the walking and hiking in Umbria spans from gentle ambles to epic treks. The Umbria Tourist Guide has some great resources to point you in the right direction. By air: There is only one major airport in the Umbria region – Perugia San Francesco d’Assisi which is located in the centre of the region, close to Lake Trasimeno. The terminal can handle 500,000 passengers a year but still, this airport is only served by a handful of international carriers. The main one in the UK is Ryanair that flies from Stanstead. But, if you’re hiring a car, it’s worth exploring airport options within a couple of hours of your final destination; Rome, Florence and Pisa are all well-served by UK budget airlines. Hiring a car: Umbria’s undulating countryside is dotted with higgledy-piggledy towns, hidden-away villages and sprawling vineyards, and by far and away the best method of getting around is by car. While there is a fairly extensive public transport network, it does tend to be focused on the larger towns, and getting out to the more off-the-beaten-path areas can be somewhat time-consuming, not to mention logistically tricky. Driving around the countryside is one of the great joys of a visit too, and hiring a car will give you the flexibility to really get out and explore. 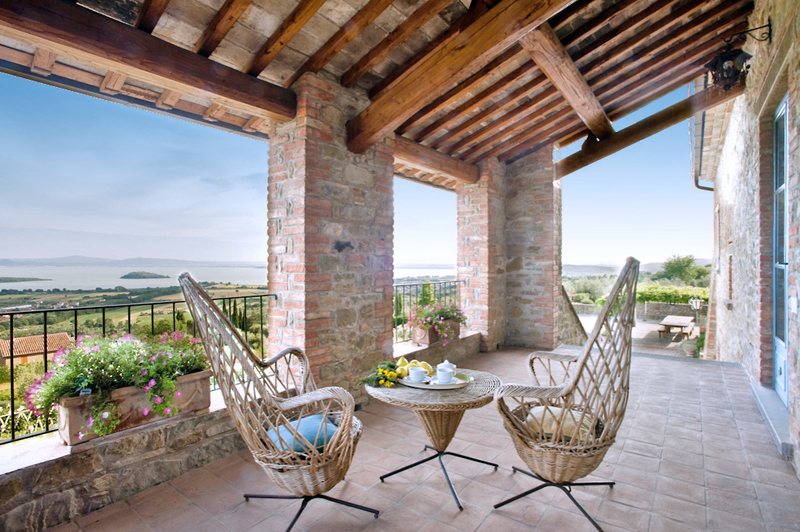 Lake Trasimeno is Umbria’s largest lake and offers a true slice of unspoilt Italy. Three islands dot the shimmering waters and small ferries drop adventurous visitors off on the tranquil shores where they can swim from the beaches, relax in rustic cafes, explore ancient castles and walk amid abounding nature. The hilltop town of Montefalco sits at the heart of Umbria’s wine country and is the home of the region’s flagship red, Sagrantino di Montefalco. A number of wine-related events take place here throughout the spring, summer and autumn months including harvest festivals and winery open days. 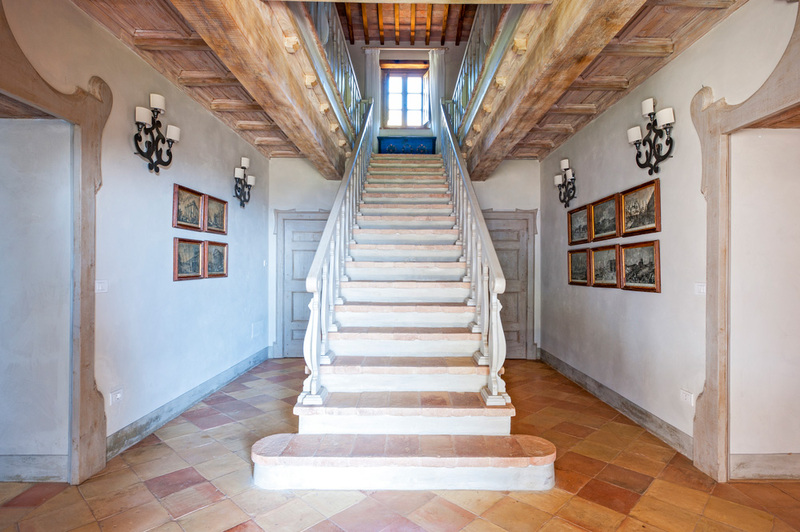 La Scarzuola was once a Franciscan convent built by Saint Francis of Assisi, but today, thanks to the efforts of architect Tomaso Buzzi, this compound is a fantastical display of architecture and art. With elements of surrealist, classical, medieval and Renaissance architecture, it is a fascinating jumble of pools and stairs, bridges and theatres. Unlike its lofty hilltop neighbours, the laid-back town of Bevagna stands on lower plains. Its strong Roman heritage is evident in its mosaics and amphitheatre, and there are two beautiful Romanesque churches as well as a number of excellent, family-run restaurants and cafés to be discovered in its leafy little piazzas. The Marmore Falls are one of Italy’s highest waterfalls and the largest man-made waterfalls in all of Europe. Created by the Romans, they measure a dizzying 165 metres and the flow is controlled by a nearby hydroelectric power plant. Time your visit to coincide with the opening of the gates and watch as the water gushes out with force and tumbles through the densely wooded slopes. 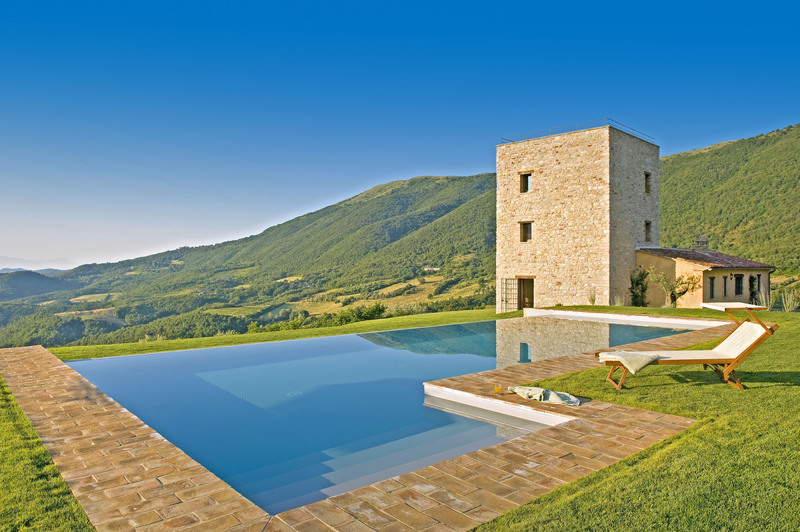 Towering 1,290 metres above sea level, Monte Subasio can be seen from all around Umbria. On its slopes are the ancient, pink-hued towns of Assisi and Spello, whose buildings were constructed using rocks hewn from the mountain itself. Whether you want to hike or go truffle hunting, the Monte Subasio Natural Park offers a wealth of opportunities to get out into nature. 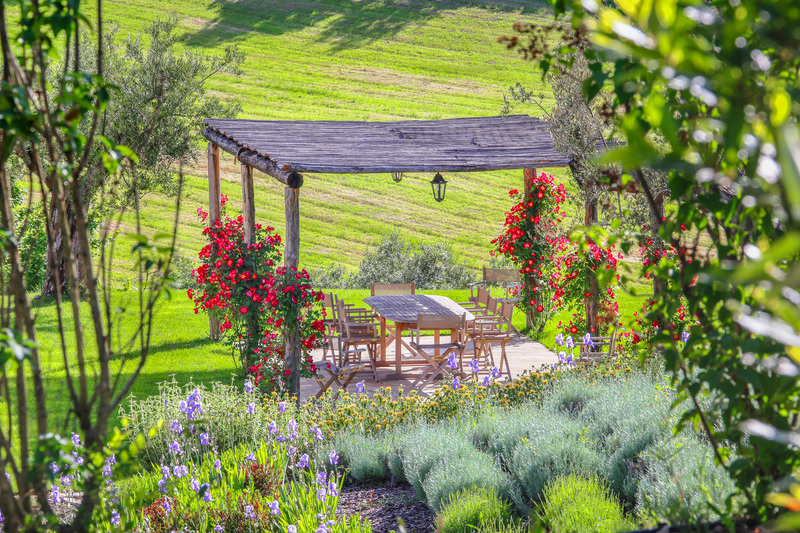 At first glance, Umbria may not seem like the ideal family destination. There are just one too many museums and art galleries to make it sound hugely appealing to children. But that couldn’t be further from the truth. In fact, this region makes for a perfect family holiday, with ample lakes, mountains, history and castles to explore as well as more pizza and gelato than your little ones could ever dream of. What’s more, children are simply adored in Italy, and your family will be welcomed with open arms wherever you go. And there are just so many activities to keep them entertained, from chocolate factory tours to rip-roaring aqua parks, Pinocchio-themed restaurants to child-oriented art classes. Umbria’s beautiful countryside will become their playground as they hike with donkeys, captain their very own boat on Lake Trasimeno and clamber up ancient hilltop castles. 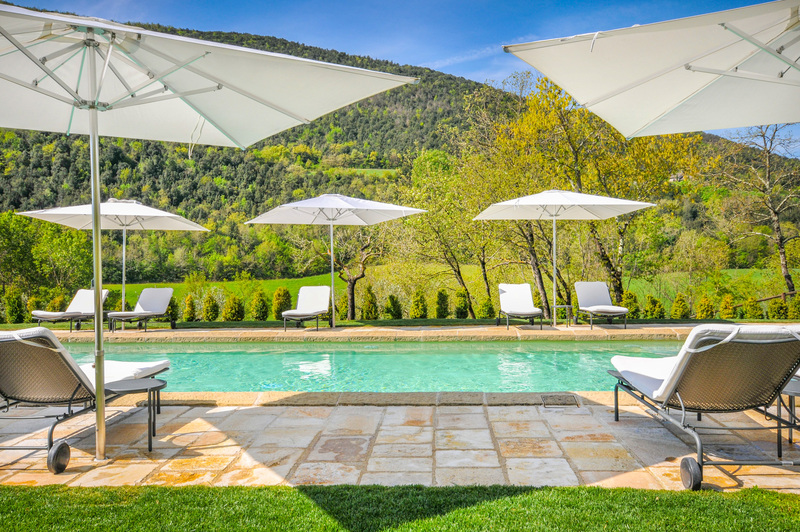 Here we bring you some of our very favourite family-friendly activities in Umbria. Wow the whole family with the incredible waterfalls at Marmore Falls. These spectacular man-made falls are fascinating and awe-inspiring. You can take a walking trail around the surrounding forest to admire the falls from every angle or explore the caves beneath, hearing the water thundering overhead. Activo Park is an enormous adventure park close to Spoleto. Kids and adults alike can get stuck into fun and unusual pursuits like crossbow shooting, climbing and treetop walks. You couldn’t possibly pay a visit to the homeland of one of the world’s most famous storybook characters, without having a Pinocchio-themed evening. Osteria di Pinocchio is a restaurant designed especially for kids, with miniature tables and costumes to try on! For more great suggestions of things to do with the kids in Umbria, check out this guide! The new Assisi-Spoleto bike path is a 70km-long route that follows the banks of the Marroggia and Terverone rivers, taking in the towns of Assisi, Foligno and Trevi, as well as countless other tiny villages along the way. Because it mainly follows the rivers, it’s quite level and easy-going – perfect for little cyclists. The Grand Tour bike routes are plentiful and take in much of Umbria. Have a think about what parts your kids would most like to see and plan a route around it – the fossilised trees at Dunarobba are a surefire win. Bike rental companies, like Bike Rentals Plus, are great and many will bring bikes to you and even pick you up at the end of the day if your little ones aren’t up for a full circle. 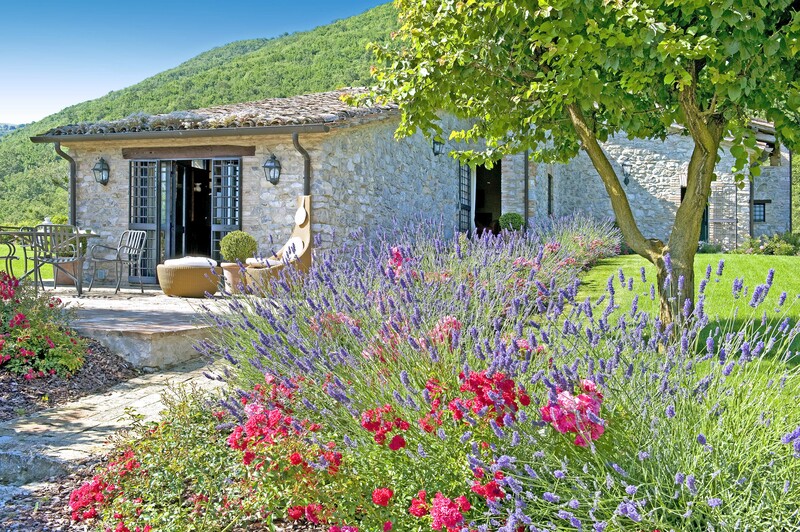 It isn’t so much a question of whether there is anything to do in Umbria, but more a question of how much you will have time to do on your holiday here, for the region is so teeming with activities suited to both families and groups that you’ll have a hard job choosing which to prioritise. If you need some extra help, have a look at a local’s perspective for some insider tips. You can spend days sightseeing in the bucolic village and towns, or seeking out some of Italy’s most impressive castles, cathedrals and museums. Then head out to discover the breathtaking landscape, where hills give way to vineyard-covered valleys, which can be explored on foot or by bike, car or even in typical Italian style: by Vespa. While we’re on the subject of vineyards, no trip to Umbria is complete without sampling the region’s finest vintages and there are plenty of excellent wineries to visit here. 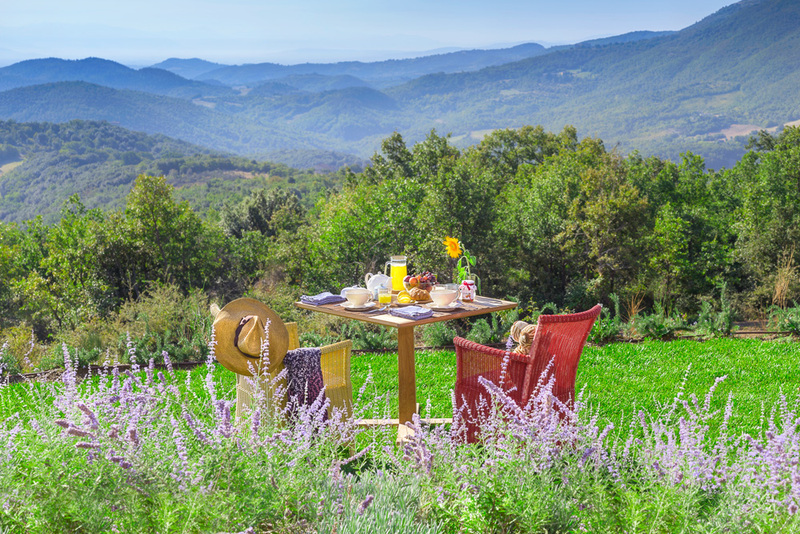 Play a round of golf together, go truffle hunting or simply relax around your villa’s dining table and enjoy a leisurely, hearty meal just the way the Italians do. Pay a visit to the impressive Ponte Delle Torri in Spoleto. The sight of the astonishingly high, arch bridge spanning the valley is jaw-dropping and makes for a great family excursion. The entire town of Assisi is a UNESCO World Heritage site, so you are guaranteed to have plenty to see on a day trip here. Explore the expansive piazzas of this Franciscan hill-top town, and marvel at the medieval architecture. Discover the incredible story of the caves of Narni Sotterranea. Found in 1979 by a group of friends who stumbled upon them on a walk, the labyrinth of secret tunnels lies directly underneath the monastery of San Domenico. The very same friends still work there to this day and provide fascinating guided tours and information on the history. And that’s just for starters, we’ve written a blog post with all our favourite activities in Umbria. If you’re in it for the wine, you’ll be spoiled for choice in Umbria. Here are three of our favourites, but you can read about some more here. 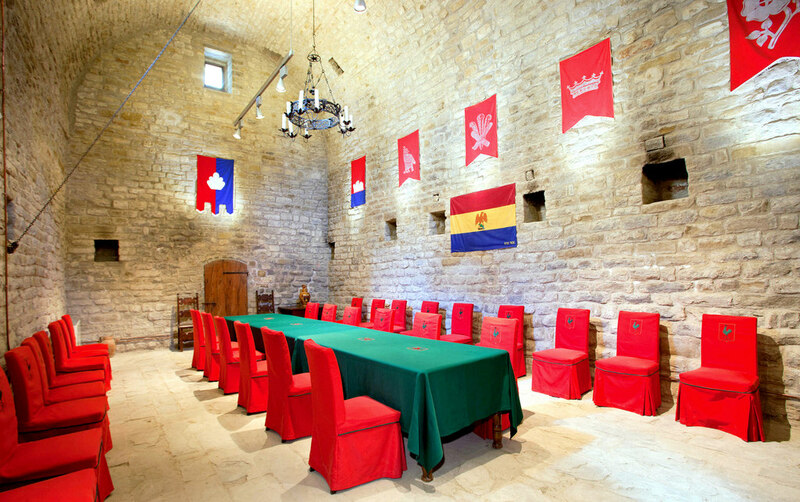 Castello Monte Vibbiano is close to Marsciano, Perugia and occupies a typical hilltop position. It’s a huge winery, offering tours, tastings and wine obviously but also has olive oil and cosmetics to try too. Decugnano Dei Barbi in Orvieto was started in 1973 and has been making quality boutique wines ever since. Cantina Scacciadiavoli is an ancient hilltop winery, dating all the way back to 1884. It is open for both wine tastings and tours of the winery. Umbria is one of Italy’s true foodie destinations, and – for a country where food and wine are the cornerstones of life – that’s saying something. In this hilly, forested region, earthy flavours and simple dishes reign, the superb raw ingredients in no need of being jazzed up. As well as having abundant olives, herbs, vegetables and grains, Umbria is also truffle country, and you can go scouting around for the sought-after delicacy yourself. You will also find melt-in-your-mouth cured meats, gooey cheeses and roasted meats on most menus.Vineyards blanket the Umbrian valleys and the region’s long wine-making traditions are today twinned with state-of-the-art technology and eco-aware farming practices to create some of the country’s best wines. No trip would be complete without a visit to one of the picturesque vineyards to sample some for yourself. 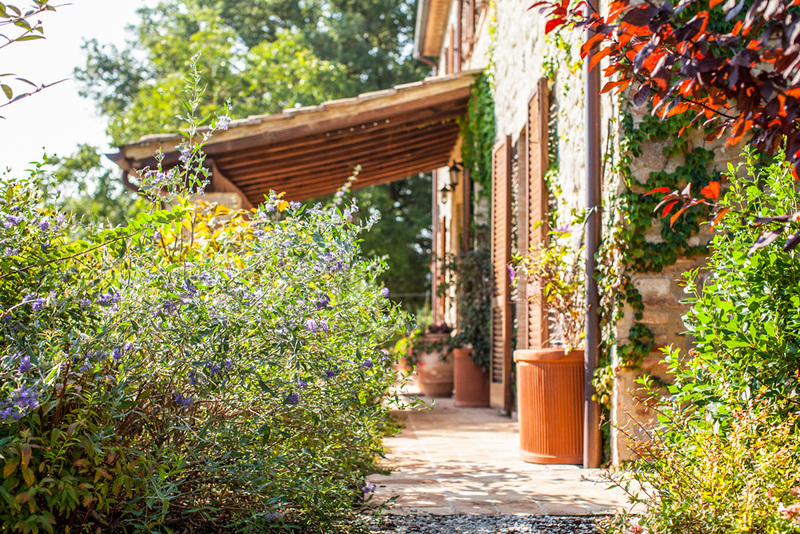 There are so many fabulous food and wine experiences to be had in Umbria that choosing which to indulge in can be a little tricky – here are a few of our favourite. Visit Trattoria del Moro Aronne in Orvieto for some totally authentic, traditional Umbrian hospitality. The menu is ages old, rustic and terrific and the atmosphere is jovial. Taste the region’s famed cured meats, along with other delicacies like rabbit and pigeon at Montefalco’s Ristorante Coccorone. If the weather is on your side, be sure to sit in the lovely walled courtyard. 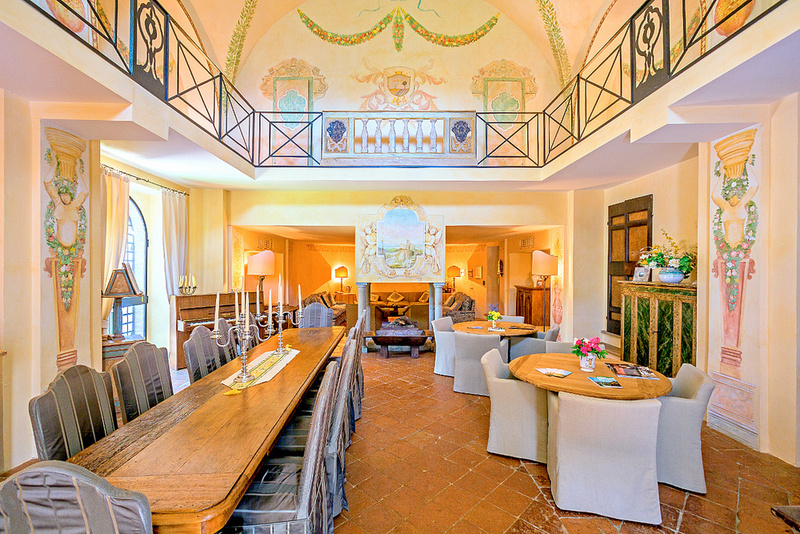 For a fancier time, make a reservation at Casa Vissani in Baschi. Gourmet is a way of life here, and you’ll soon see how they got those two Michelin stars. 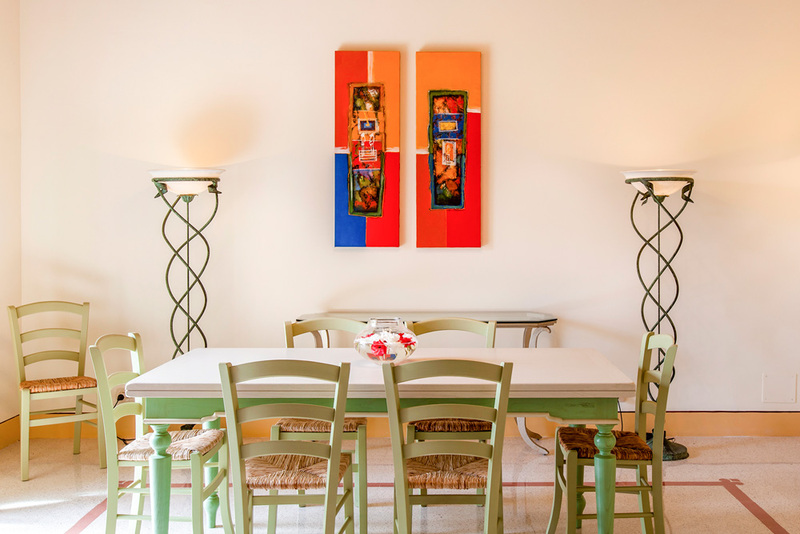 If you’re in Perugia for the day, be sure to stop in at Osteria a Priori for lunch. It’s a teeny, casual spot tucked down an alley, with tables spilling on to the street. For more great foodie suggestions, check out our delicious blog post. First, and foremost – truffles. On everything. Make sure to taste local prosciutto crudo – this dry cured ham is packed with flavour. Also best served with wedges of melon – one of the most refreshing snacks or appetisers around. One of the local delicacies in Umbria is porchetta al finocchio, also known as roast pork and fennel. Unlike chicken, pork can be quite tough – but not in this neck of the woods, the pork is salivatingly good. Umbria is also the land of lentils, and the lenticchie di Castelluccio exceeds all expectations. Even if you’re not the biggest fan or you’re yet to try a lentil dish – it’s a must on your adventures through the region. Pair these moreish delights with local wines – you can’t go wrong. Taste the wine at SAIO Assisi. The vineyard sits in the shadow of the city above, so the views are spectacular – as is the wine. You can finish your tour of the vines with a tasting, accompanied by fabulous local delicacies. Speaking of local delicacies, learn to cook like a local with Life… Italian Style. This unique company can organise cooking classes in your own villa, wine tours or can just come and cook up a storm for you if relaxation is the name of the game. Take in a double whammy with a tour of the olive oil museum and the wine-making process from field to cask at Cantine Giorgio Lungarotti. Of course, it’s broken with a long, leisurely, delicious lunch.